Because I’m lazy, I had this idea that I would post some of my favoritest favorite photos of the last year. I’ve certainly taken enough pictures since leaving Other Cambridge. So I started looking at the best ones, and I realised all the photos I haven’t shared with the internet already are photos I’d taken in Israel last November. The ones here are all from our two days in the Dead Sea. 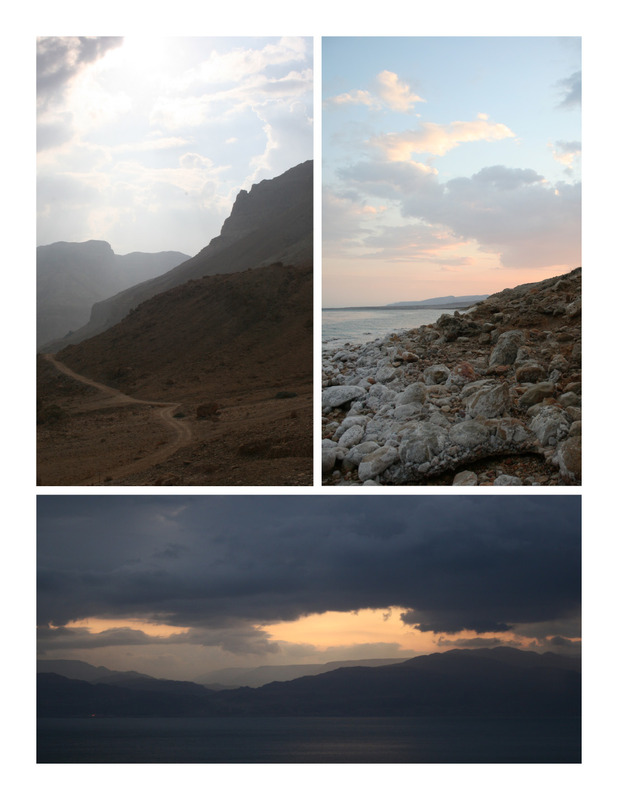 We went hiking in Ein Gedi Nature Reserve, bobbed up and down in the water (which is actually 1/3 suspended solids, fyi), got up early to watch the sunrise, and chased mountain goats around the hostel. And worried a lot about food. There was no food there – I ended up getting most of my meals at the beach snack bar, but by “meals” I mean “tuna sandwiches” because in order to be kosher, they put a crapload of sandwiches in plastic wrap on Friday morning and called it a day. It was run by a very friendly white guy with dreadlocks, though, whom we got to know pretty well over the course of the two days. His English was way better than my Hebrew (I can say: yes, no, please don’t put it in a bag, and some swear words). The absence of food at one of the most famous tourist destinations was mind-boggling. But even so, Jaime and I made the most of the weekend. Ein Gedi was a real highlight, with beautiful hikes and empty trails after the first flat mile. We met other travelers at our hostel and chatted with them until late at night, and I saw 12 new species of birds. We went to a kibbutz with a botanic garden (for two urban planners, one of whom used to be a landscape architect, this was Nerd Paradise) and went for walks in places with big signs that said “DO NOT GO HIKING HERE” – because of sinkholes from the shrinking of the Dead Sea. The places that used to be underwater are still saturated in places and can form quicksand or just totally give way. There is no local consensus about how likely that actually is to happen (I mean, clearly it does happen but how likely it is to happen to me was what I could never glean), which made me nervous – but I did live to tell the tale. Jaime, the girl with whom I got into all these antics, is coming to visit next month. I’m not sure what in England will measure up to dodging sinkholes in the Dead Sea, but I’m going to have to come up with something. Ian and I had some adventures this weekend, so I’m looking forward to sharing our night at King’s College and our weekend in Oxford as soon as I can get off my bum long enough to find my camera. Right now its a whole 2 rooms away.